Nepotism fears if Anwar, wife and daughter all in power, warns Ambiga | Daily Express Online, Sabah, Malaysia. 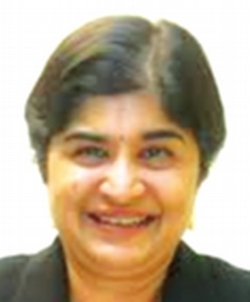 Selangor: Datuk Seri Anwar Ibrahim's possible return to mainstream politics could spark concerns over "potential nepotism" in the Government, former Malaysian Bar president Datuk Ambiga Sreenevasan (pic) said Friday.Ambiga warned that there was already growing perception that the governing Pakatan Harapan coalition was nepotistic, and said the view could be reinforced if Anwar is given a government post upon victory. "We see it present in PH now as a whole, not just in PKR. They need to watch out for that," Ambiga told reporters here. "Nepotism doesn't necessarily stop people from running, but it's about posts or offices that are held subsequently and they need to guard against nepotism," she added. Datuk Seri Dr Wan Azizah Wan Ismail, Anwar's wife, is currently the Deputy Prime Minister while his daughter, Nurul Izzah Anwar, is MP for Permatang Pauh. Both once held top leadership posts in PKR. Ambiga said Anwar contesting or that most of his family members are part of the political system may not indicate nepotism, but stressed that it took very little to cross the line. "They have to really think about it. They have to remember they were also against it when they were the Opposition," she said. Datuk Danyal Balagopal Abdullah, 68, resigned as PKR's Port Dickson MP on Wednesday to force a by-election meant to pave way for Anwar's re-election to Parliament. The announcement drew mixed response, but the electoral reform committee said there was nothing illegal about the planned resignation. Ambiga too saw no irregularities in Anwar's contest in a by-election, but said one of his family members must give way instead. "Although Datuk Seri coming out and running is accepted it's not an issue but my issue is it has to be one of the family members that steps down," she said of Anwar's move. Prime Minister and Pakatan Harapan Chairman Tun Dr Mahathir Mohamad, 93, had already indicated that Anwar would succeed him in time, but talks of an internal struggle have since spread. Anwar has yet to comment about his party's decision to force vacate the Port Dickson seat, but critics saw the move as part of the former Deputy Prime Minister's plan to hasten the succession.